We conduct water rationing in Dumalagan tonight. 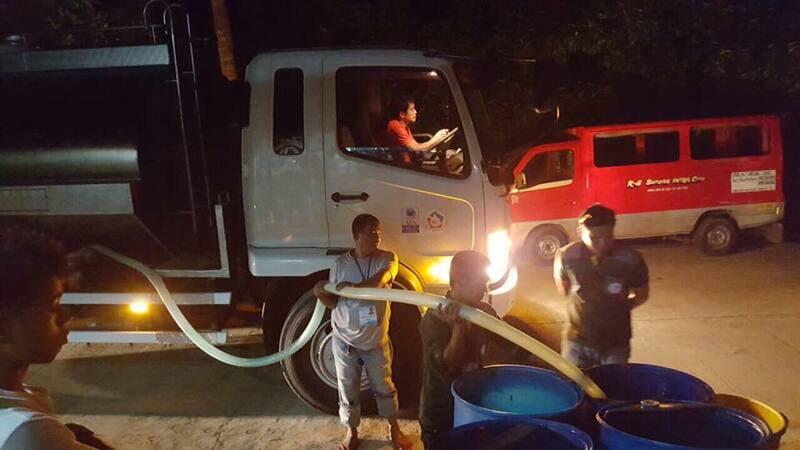 Using the newly acquired water tanker, the water rationing is conducted as we could not provide water to Dumalagan, Pinamanculan and Bancasi because of the defective booster pump at Km. 6, Libertad. Water rationing will continue until such time a new booster pump will be installed. The new tanker was purchased to better serve the concessionaires during water interruptions.